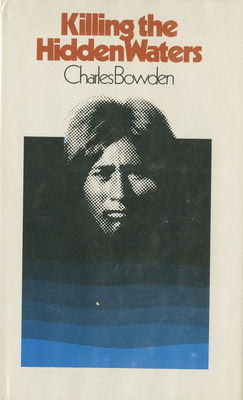 Bowden, Charles , “Killing the Hidden Waters ,” Arizona 100: Essential Books for the Centennial, accessed April 21, 2019, http://speccoll.library.arizona.edu/online-exhibits-dynamic/az100/items/show/208. Bowden is foremost a newsman, bringing us front-page dispatches from the field and border, and urging us to stay vigilant. In this book, he reminds us that we live in an arid state where water was, is, and forever will be a paramount concern. Bowden’s facts leap from the page and history comes alive. Drawing upon the experiences of native tribes such as Arizona’s Tohono O’odham, Bowden paints a history lesson of how ground water can be conserved or squandered as we mine it with pumps and windmills. Killing the Hidden Waters was supposed to be a university report to Congress, but Bowden’s contract was not renewed after he turned the manuscript in to his employers and the report was never submitted. 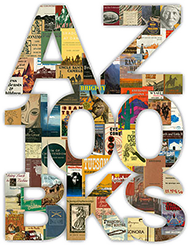 He found a publisher in Texas, and the book has been in print for thirty-five years. Austin : University of Texas Press, 1977, 2003.
viii, 174,  leaves of plates : ill. ; 24 cm.